Nestled in the Val Rendena in the Alps of northern Italy is the beautiful alpine village of Pinzolo. With a population of just over 3,000 residents, this beautiful Italian community is a hidden gem of the Dolomites. Mostly unknown to travelers outside of Italy, this area of Europe where Switzerland, Austria, and Italy come together forms some of the most magnificent mountain scenery to be found and is a virtual playground for the outdoor enthusiast. 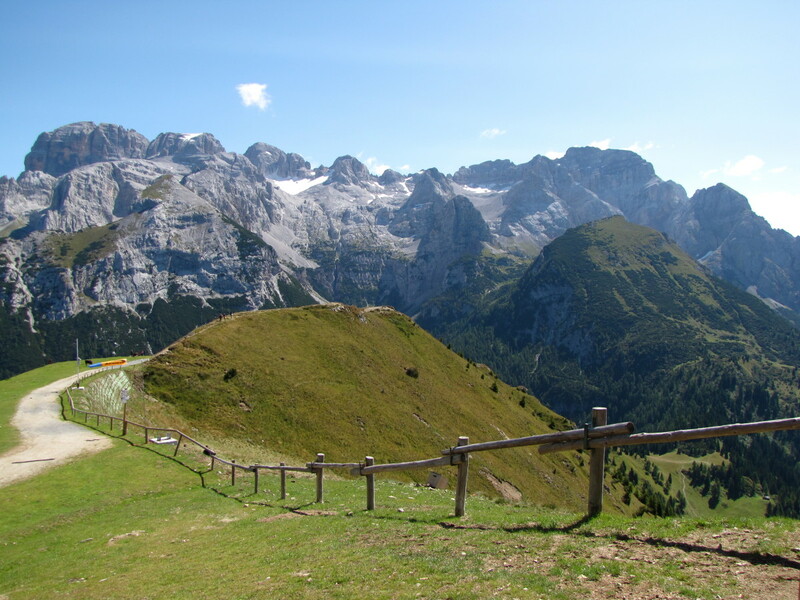 Along with the nearby resort community of Madonna di Campiglio, this valley is the main access point to the Brenta Dolomites, which are a part of the Adamello Brenta National Park. 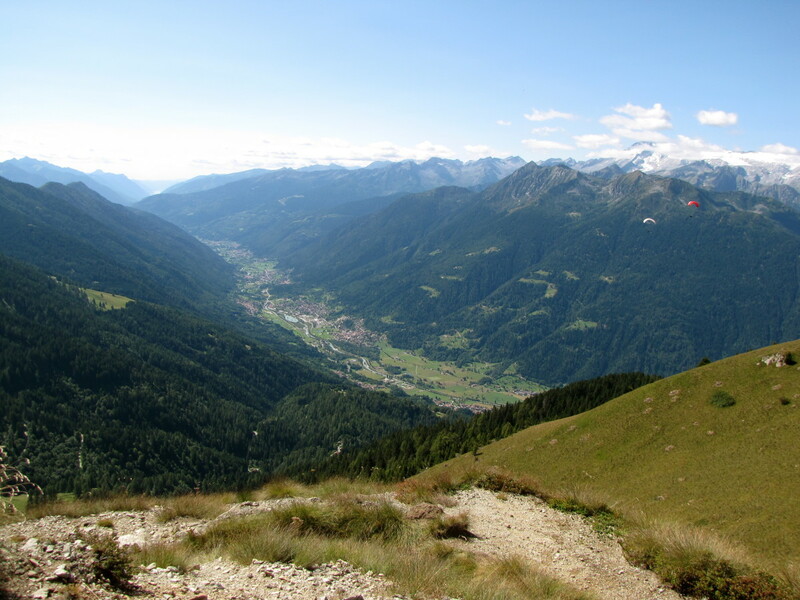 The beautiful Rendena Valley runs for approximately 12 miles along the Sarca River and divides the Brenta Dolomites to the east and the Adamello Presanella Mountain group to the west. While most foreign visitors to Italy who seek to visit the lakes and mountains of Italy head either farther east to Cortina d’Amprezzo or farther west to the mountains around Lake Como and Lake Maggiore, this area is just as beautiful and has so much to offer those seeking an outdoor adventure. From hiking and biking to wintertime skiing the natural beauty of this area makes for the perfect backdrop for visitors during any season. There are some beautiful lakes in this region as well with the glacier-fed Lake Molveno located just to the east of the Brenta Dolomite Group and Lake Garda, Italy’s largest lake, located just 30 kilometers to the south. 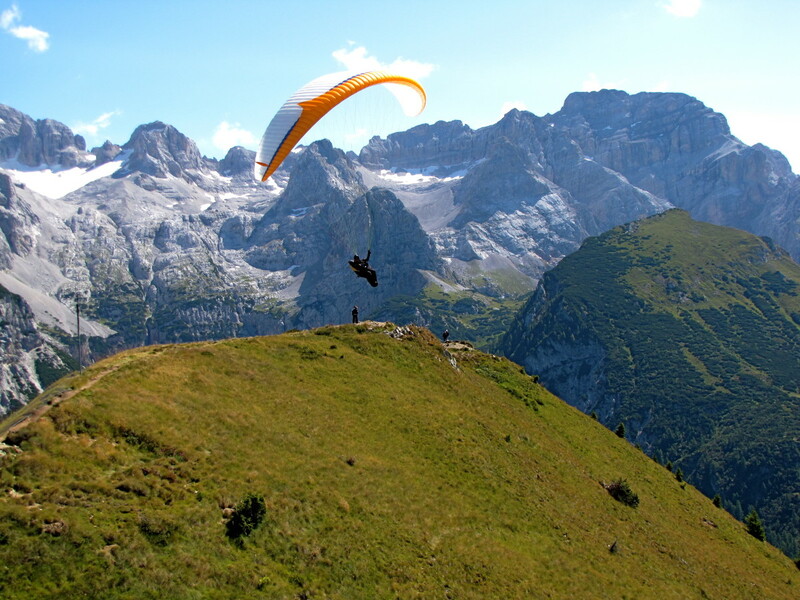 During the summer Pinzolo is a hub of activity as hikers, mountain climbers, cyclists, and paragliders descend on the area to enjoy the long summer days. 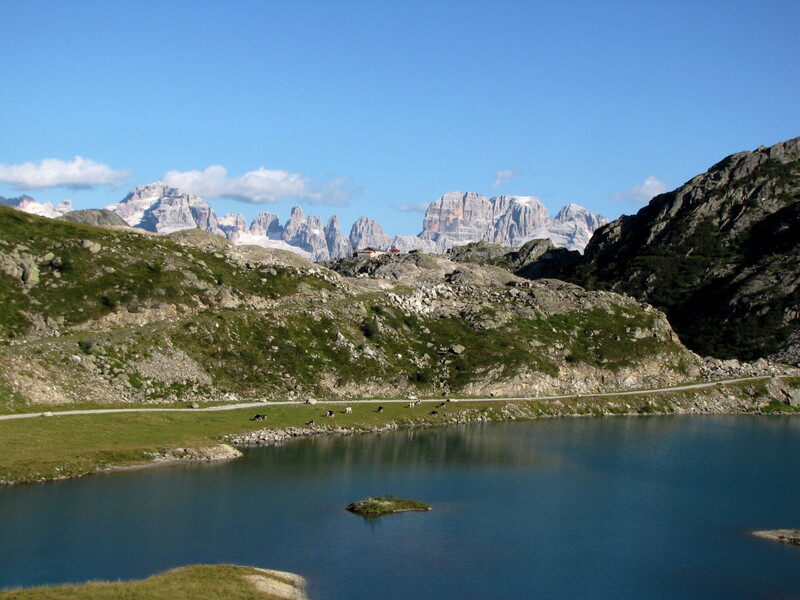 With hundreds of miles of trails from short, scenic, alpine hikes to multi-day treks such as the Dolomite di Brenta Trek, which takes experienced hikers around the Dolomite di Brenta Mountains, there is a trail for every level of hiker. The community of Pinzolo itself is a beautiful little village with a distinctive alpine look to it. 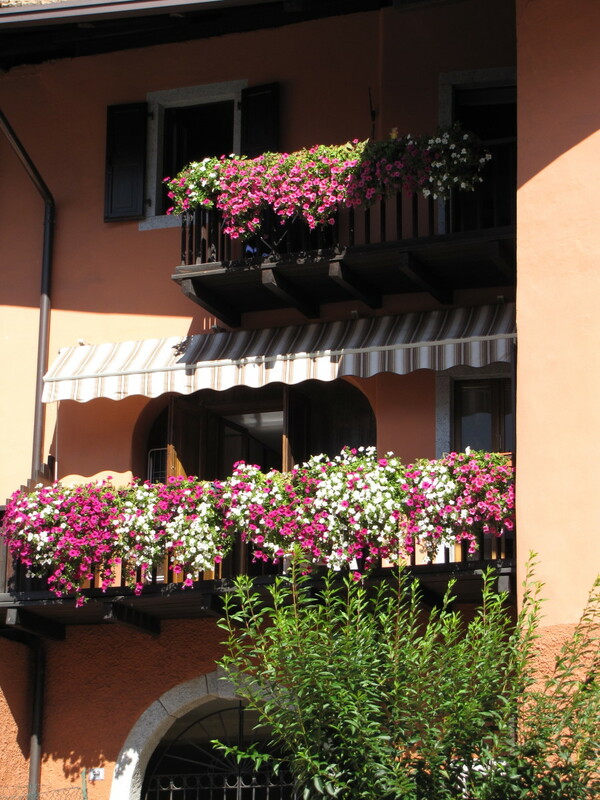 You will immediately notice the colorful flowers everywhere and the window boxes draped with geraniums of all colors. If you didn't know better you might think you were in Bavaria. 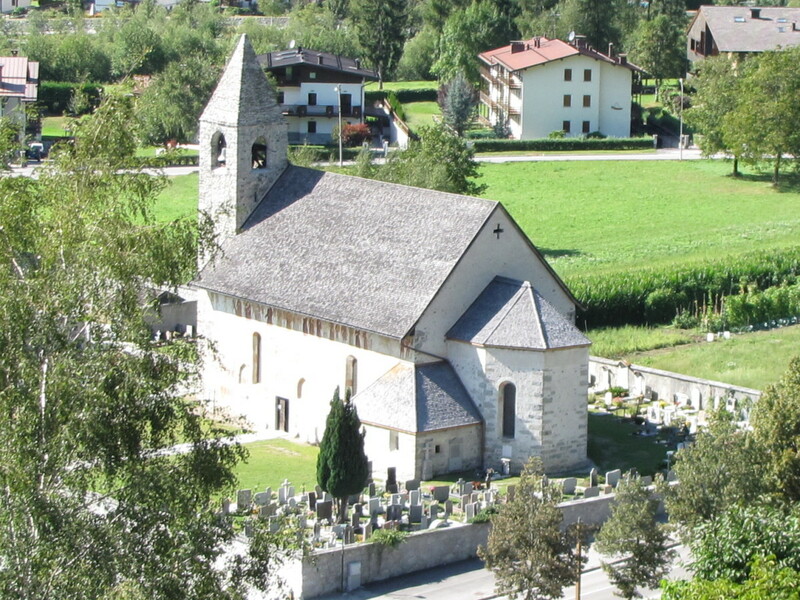 Besides the scenery and outdoor activities that abound in Pinzolo there is a very interesting church here that is worth a visit. The Church of San Vigilio, which was founded in 1362 and built with granite stones quarried from the Val Rendena has some very well preserved fresco's that adorn its walls both inside and out. On the outer south wall of the church is the famous Dance of Death, which was painted by Simone Baschenis in 1539. This fresco contains the images of sinners from all facets of life including a Pope, a priest, a king, the rich, the poor, as well as the young and old all being led by the skeletons to death. It signifies the equality that we all endure in the face of death no matter what our social background or status in life. For a real treat head to the Pinzolo lift station that will whisk you to the top of the Doss Del Sabion at almost 6,900 feet above sea level. The lift has a mid-station stop where you can spend some time but the grand prize awaits you at the top. From the peak of the Doss Del Sabion, you can hike the trails at the foot of the towering Cima Tosa that soars to 10,410 feet literally right in front of you. 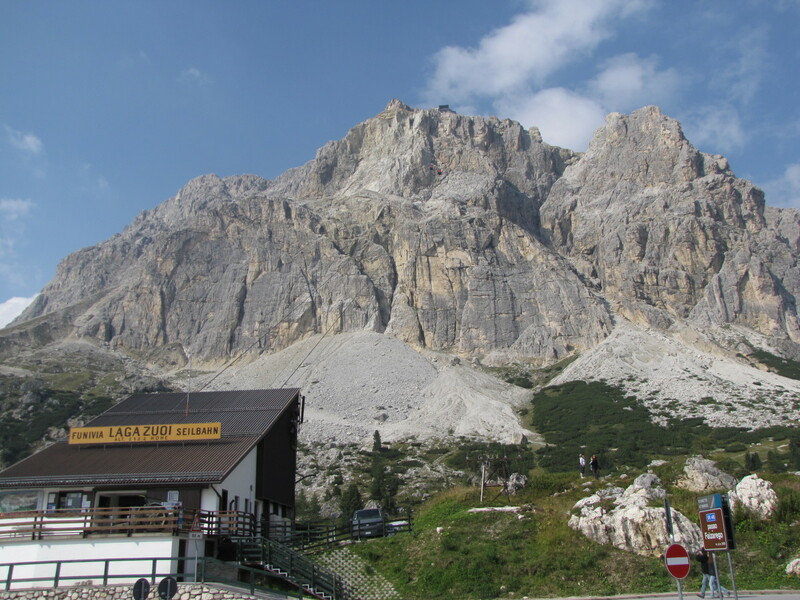 The Brenta Dolomite group here features three towering peaks over 10,000 feet and provides an unbelievable vista from the lift station at the top of the Doss Del Sabion. 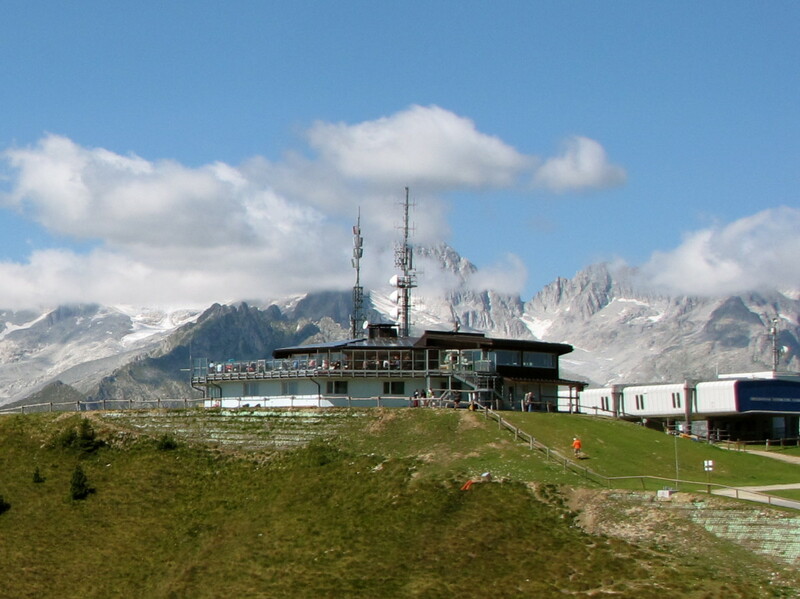 This is the perfect place for a mountain hike and when you need to refuel or relax for a bit there is a wonderful restaurant at the lift station where you can have lunch or a snack all while gazing at one of the most beautiful views imaginable. The outdoor terrace here is a great spot to get some sun and relax for a while either before or after heading out for a trek. If you happen to be here when the paragliders are taking off then you are in for another treat. It is fascinating to watch these aerial daredevils as they prepare their gliders and then literally launch themselves off of the mountain. 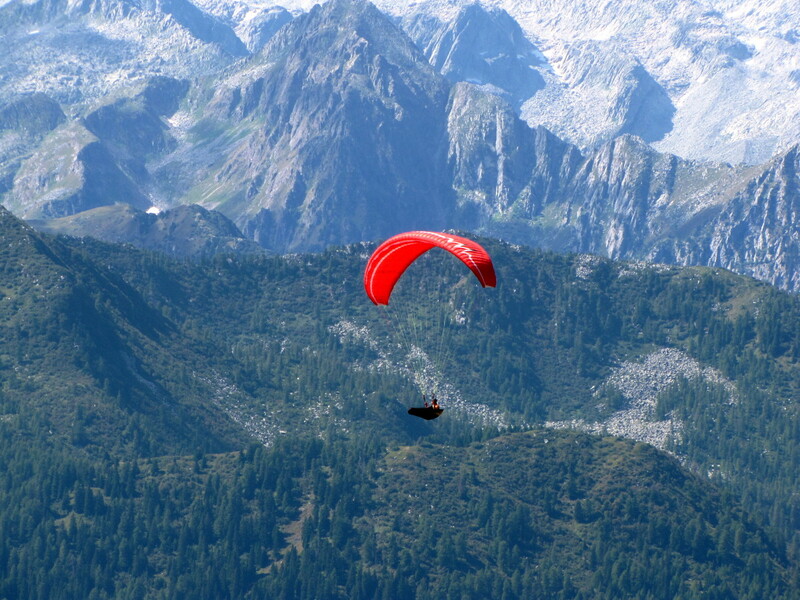 Seeing the different color chutes riding the warm thermals and soaring above the valley truly is a sight to behold. 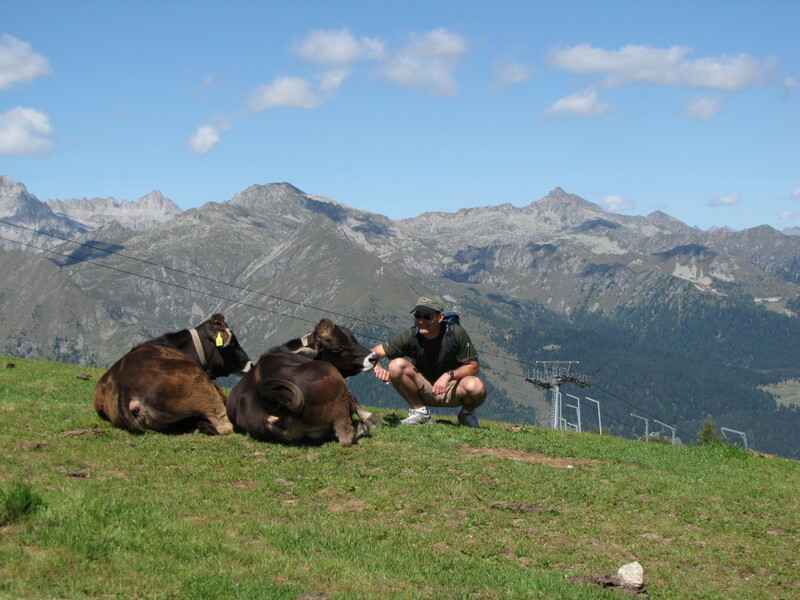 If you’ve ever imagined a beautiful alpine field with grazing cows then this is that spot. You can follow the sound of the cows with their bells tolling as they graze their way across the ridge. It makes for the perfect setting. Just be careful where you step. I need to add here that when driving in the valley or walking through the village of Pinzolo you get no indication of the incredible views and high mountains that are nearby. The hills that form this valley do a great job of hiding the mountain peaks and while spending time in the valley is certainly beautiful you need to hop on a lift and go vertical to really appreciate the natural beauty of this area. When the gondola to the top of the Doss Del Sabion reaches the lift station you will be absolutely blown away by the view in front of you. It’s that amazing and definitely worth the price for the round-trip lift ticket. 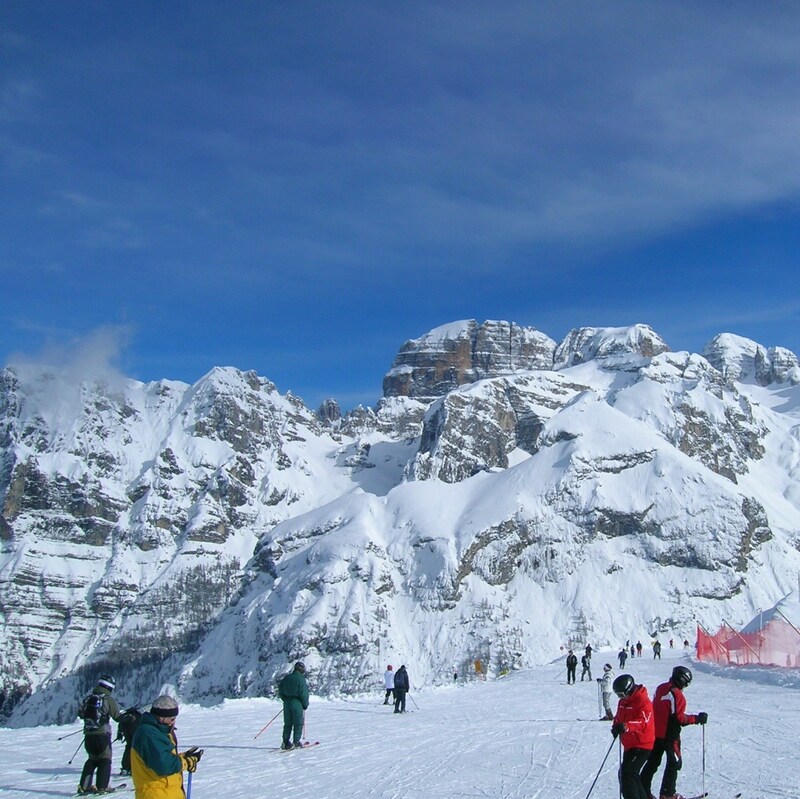 Just a few miles further up the valley from Pinzol is the resort community of Madonna Di Campiglio. 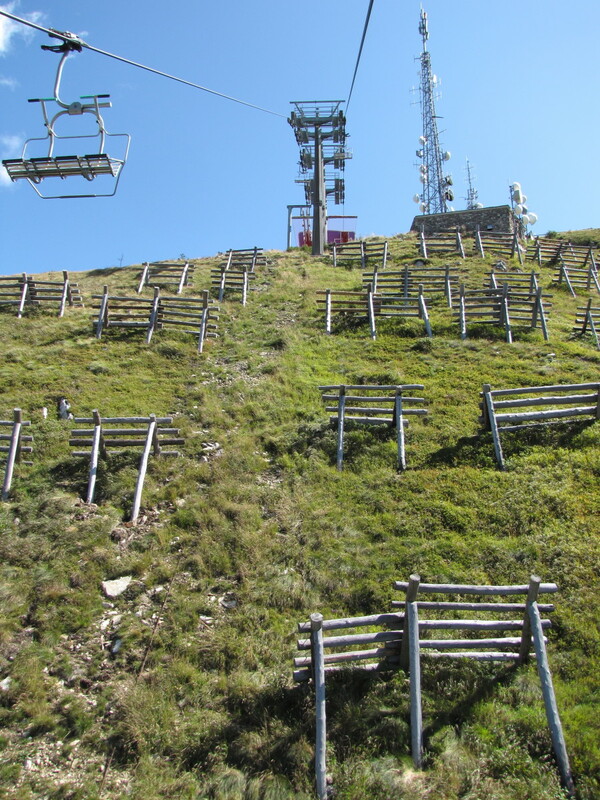 There is another chair lift here just outside of the community, the Groste Lift, which will take you to the top of the Passo Groste at just over 8,000 feet. 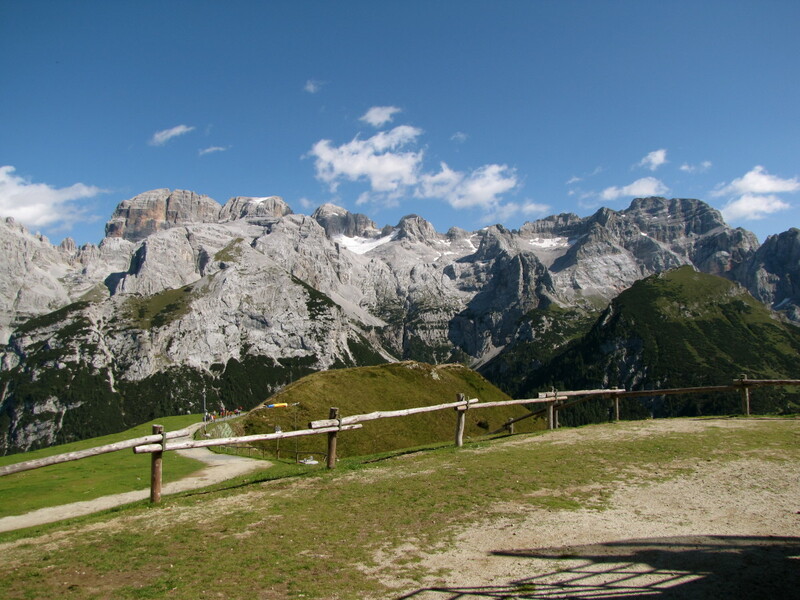 This is just another spectacular spot to hike while enjoying the amazing views of the Brenta Dolomites. If you don’t want to go quite so high but are spending time in Madonna Di Campiglio you can take the Monte Spinale lift, which is located right in the heart of Madonna Di Campiglio. 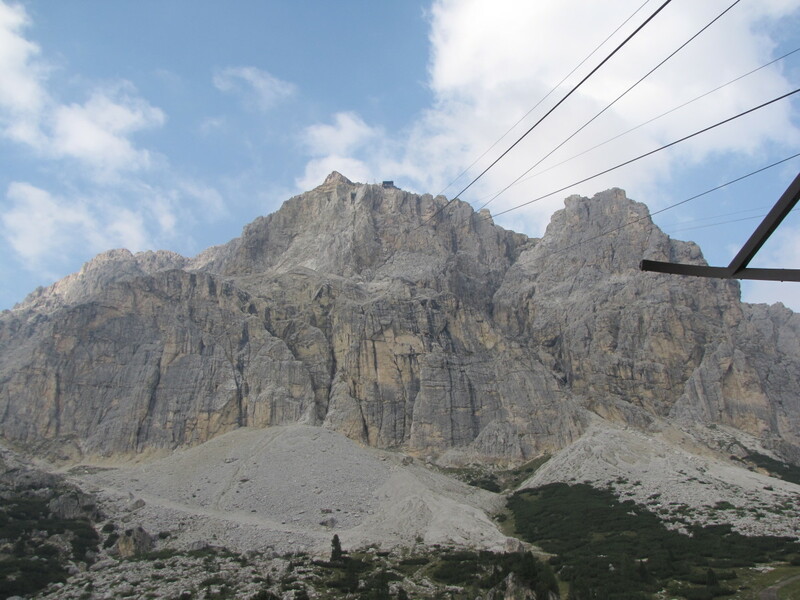 This lift takes visitors up to about 6,900 feet and still offers a spectacular view of the Brenta Dolomites. When it’s time to finally come back down to the valley below there are other treats in store for you here. 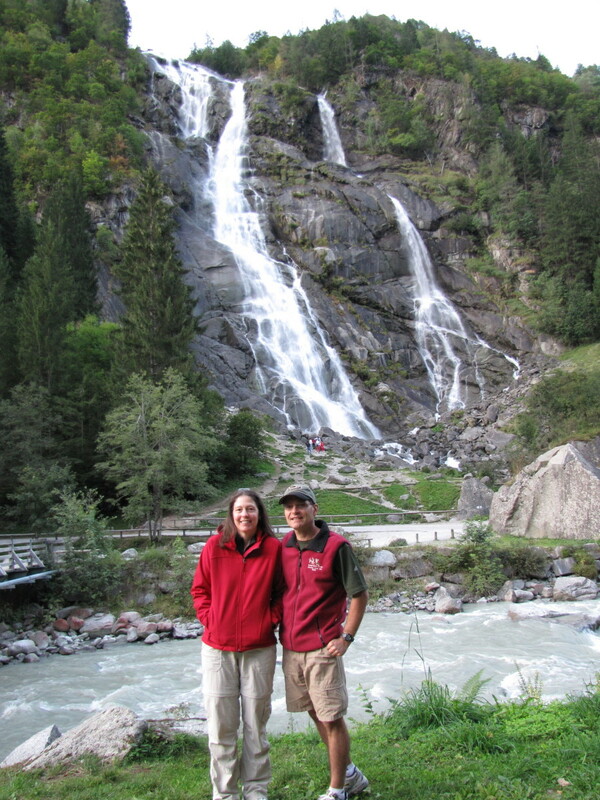 Just outside of Pinzolo on the west side of the valley as you head north out of town is the Nardis Waterfall, which tumbles more than 400 feet. This waterfall is fed by the Presanella Glacier, which is located in the Adamello Presanella Mountain group to the west of the valley. It’s a great way to cool off in the summer as the spray from the falls casts a cool mist onto those who venture close enough. The multiple cross-country skiing trials in the valley become a wonderful network of trials for mountain bikers during the summer months. Mountain biking is fast becoming a very popular past time in this region and the terrain and beautiful surroundings make this the perfect location to rent a bike and hit the trails. There are two equestrian riding centers located in the Rendena Valley for those looking for a little different way to explore the valley. For the golfers out there you can also hit the links at one of the two golf courses in the area; the Golf Club Rendena located just to the south of Pinzolo or the Campo Carlo Magno Golf Club located just north of Madonna Di Campiglio. There are also plenty of camping facilities in the valley and the Sarca River makes for the perfect spot to do some fishing if you are so inclined. The obvious activity of choice here in the winter is skiing. This valley is blessed with plenty of snow every year and this region becomes a mecca for the ski enthusiast once the snow starts to fall. The slopes of Pinzolo and Madonna Di Campiglio are very close and it’s actually possible to get from one community to the other via a new lift. Pinzolo makes for the less expensive alternative as far as accommodations so take this into consideration when planning your visit. In addition to downhill skiing there are many cross-country trails for those looking to do some cross-country skiing. There is also an indoor ice arena in Pinzolo for both winter and summer skating and in Madonna Di Campiglio there is an outdoor skating rink for winter skating. 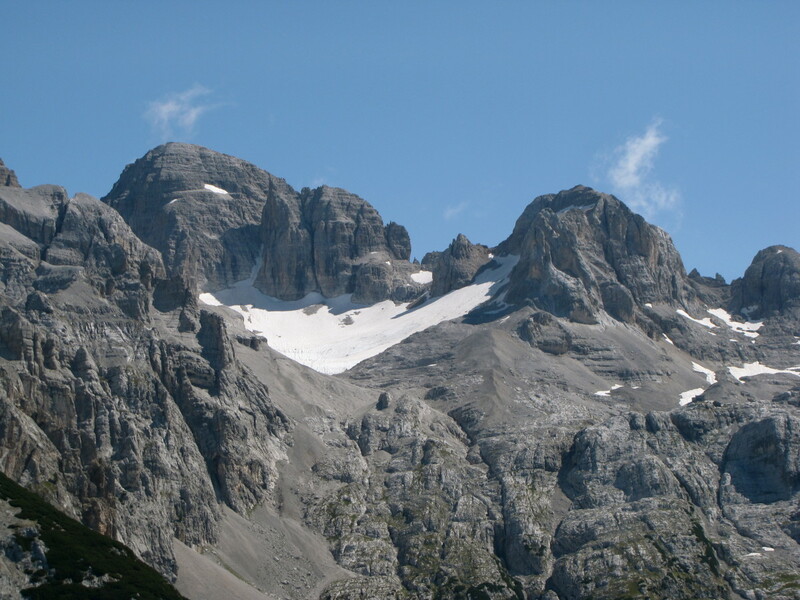 Pinzolo is located about 220 kilometers to the northeast of Milan. The trip is about three hours by auto. From Verona the trip is about 175 kilometers and two hours by auto. While it is possible to get to Pinzolo by bus having a car is the easiest and quickest way to get here. The main autostrada routes in the this part of Italy are the A4, which runs east-west from Milan to Verona and onto Venice, and the A22, which runs north-south from Verona north to Trento and onto Bolzano. No matter what season you find yourself visiting Pinzolo and the Rendena Valley, you are certain to find plenty to do to help you enjoy this beautiful region of Italy. While it is somewhat off the beaten path and not part of the typical tourist itinerary it is well worth the effort to get here. To experience the true flavor of northern Italy and its beautiful lakes and mountains consider a journey to Pinzolo and the magnificent Val Rendena. Hi Mary. Thank you. It's a beautiful community nestled in the Dolomites. Stunning scenery. If you take the lift up to the top it's like another world. Have not been to Pinzolo. In fact, it's the first time I've heard of it but I will be on the look out next time we drive through. Hi Glimmer Twin. Yeah, if you didn't know better you might think you were in Switzerland or Austria. 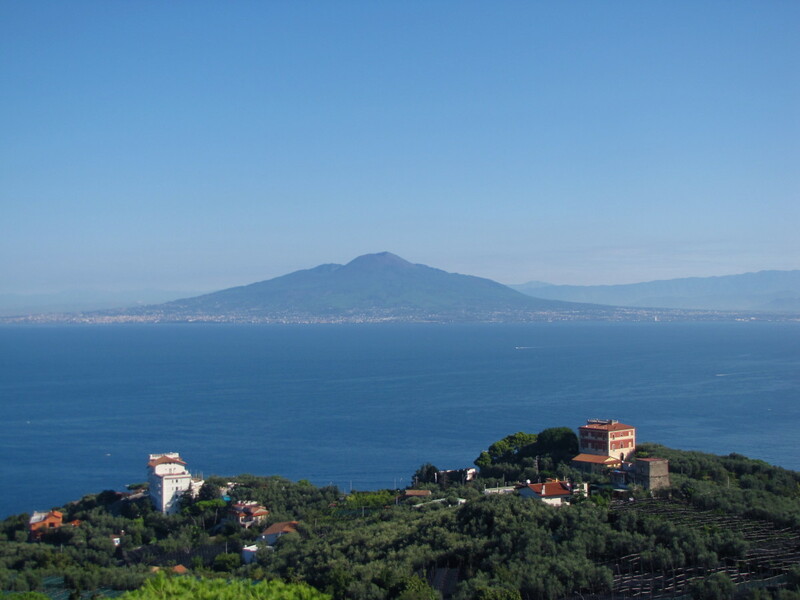 It really is a part of Italy that most tourists don't get to see. We had beautiful weather while we were there and the views and scenery were almost unbelievable. Thanks so much for the share. Have a nice Memorial Day. This is incredibly beautiful and really looks so much like Switzerland and Austria in parts. Looks like you had incredible weather too! Shared all around. Thanks Mary, I very much appreciate the nice comments. I keep telling my wife that writing about our travels to Italy is way more fun than my day job. We've just been very fortunate to have made the most of our trips to Italy and we've visited some amazing places, which I love sharing. Ok, tell the truth, you are really a travel agent and write brochures ;) Stunning Bill. You get better with each hub and include so much information one has to read more than once. Your photos are stunning. I really appreciate your hubs as they as close as I will get to Italy. Thank you. Voted up, useful, awesome, interesting, and shared. Thanks Carol. Perhaps down the road :) It certainly is an obsession of mine. Thank for taking the time to stop by and read. And of course the pin. Have a great day. I think you should write a book about Italy...and maybe offer tours. You certainly know the ins and outs of these great places. Excellent and pinning in my travel section. Hi Abdus. Thank you. I appreciate the visit and comment. Thanks rajan. I really appreciate the nice comments. I don't know if you've been to Italy or not but we 'll have to get you there some day. Many thanks for the visit and the vote, share, pin, etc... Have a great day. Informative hub. thanks for sharing.. 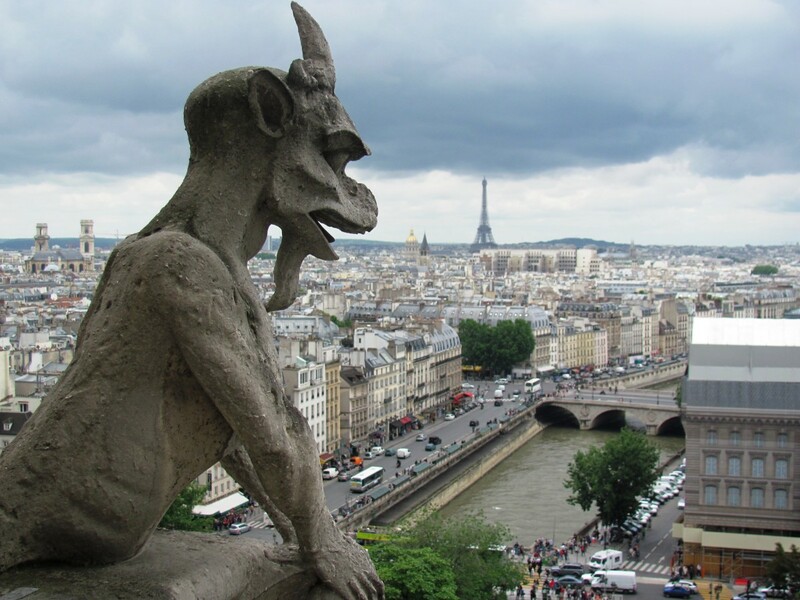 Spectacular sights and a very interesting read. Your description of these places leaves one wanting to visit these places, Bill. Your detailing is so perfect and you touch on so many aspects that your hubs are a great tourist guide. Voted UUABI, shared and pinned. Thanks Alicia. I hope I'm slowly convincing you to go someday :) It really is better than I could ever depict. Thank you as always for the visit, have a great day. Thank you FlourishAnyway. We really have not had a bad experience in 3 trips to Italy so far. Everywhere we've been has just been beautiful and a wonderful journey. Seeing the mountain cows and having them lick the salt off of my arm was just another in a long list of memorable experiences. And yes, it is good to make friends along the way, well put! This is another very enjoyable hub about Italy, Bill. 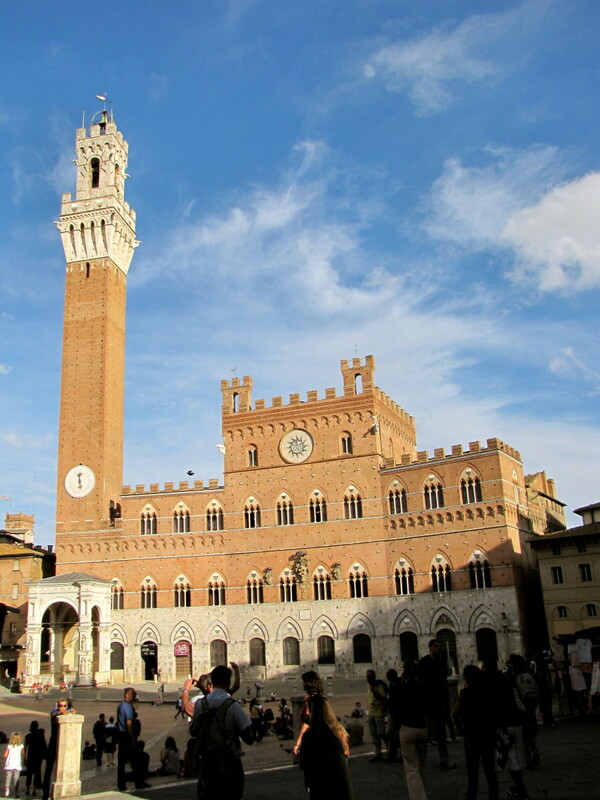 If I ever manage to visit the country I will re-read all your hubs about Italy before I go. They are very useful as well as very interesting! Bill, what a great hub with stunning photos. 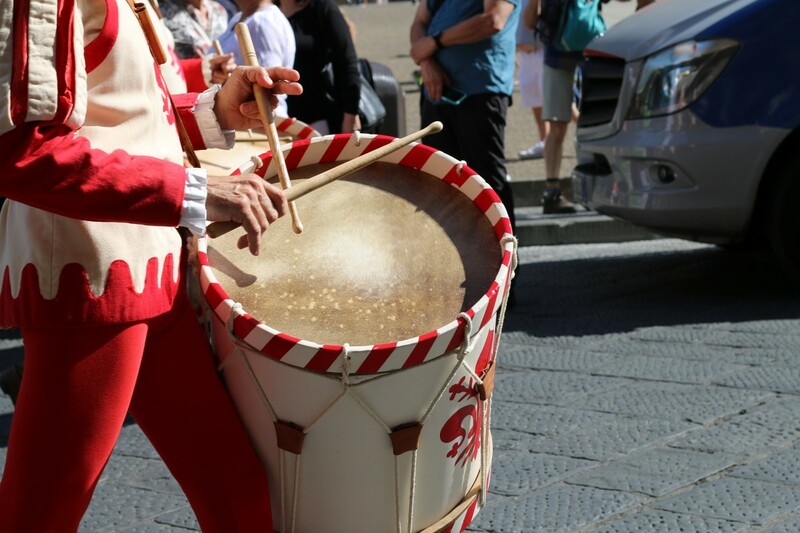 If you don't want to go to Italy after reading this, there's just no helping you! I really liked the petting the cow photo. It's good for the spirit to make friends along the way! Hi Joe. Thank you so much for the nice comments. I am trying to get better at this all the time and I do see a big difference from my hubs of a year ago to today. It does not come naturally to me, the writing that is, so I definitely have to work at it. I look at this as something that I can continue to improve on over time and I have a lot of "mentors" here of which you are one, who are"great" writers. Whether you realize it or not I look for tips and ways to improve my writing from others such as yourself and Mr Billybuc. Your son is one lucky guy, you should get him into HP's. As always thank you for the visit, enjoy the remainder of your Sunday. This was an especially timely and delightful Hub. First of all, your writing and photography skills for this particular kind of niche are unsurpassed here on HP. I've reviewed your earlier articles, and as excellent as they were, one can definitely see your remarkable refinement over time. Secondly, our son just spent 12 days--lucky stiff!--commuting back and forth between France and Italy "working hard" (yeah, right! : ) ) procuring and evaluating heavy equipment for his California-based corporation. Like you, he's a great photographer and writer, and--who knows?--might someday morph into the next bdegiulio. LOL! Your Hubs are always a delight to read and savor, Bill! Thank you so very much for sharing! Aloha! Hi Vellur. 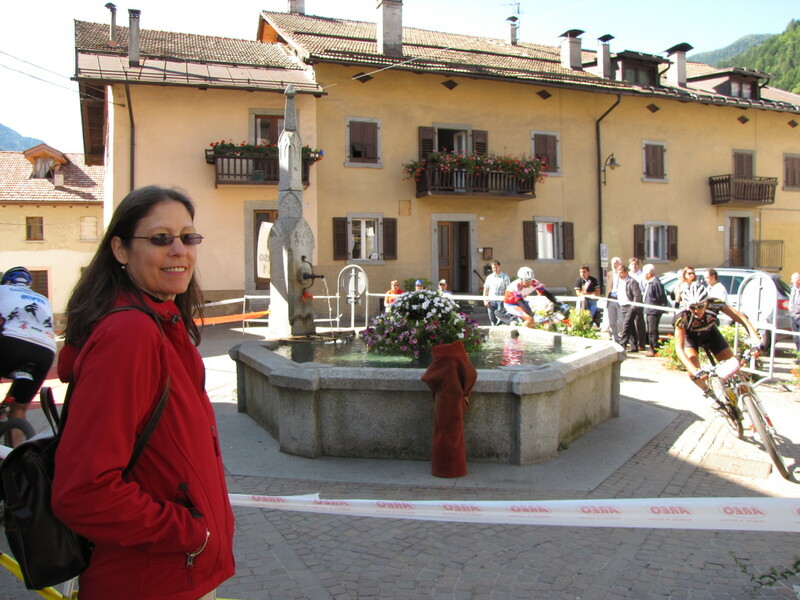 Glad you enjoyed the tour of Pinzolo. It's a wonderful place for a holiday if you love the outdoors. Appreciate the vote, have a great day. Hi Kathryn, thanks for the visit. Glad you enjoyed Pinzolo. Seeing the paragliders was a special treat. It was amazing watching them launch themselves off of the mountain. Have a great day. Hi Suzie. When you move to Italy you'll be discovering little gems like this on a regular basis. To be honest I don't remember how we discovered Pinzolo but I'm glad we did. It's really a stunning area. Thanks as always for the votes, share, pins, etc... Have a great day. Hi Bill. When I was writing this I thought how you might enjoy hiking in this area. It's similar to the pacific northwest in that it's a playground for the outdoor enthusiast. Have a great Sunday. Great hub and a wonderful tour through Pinzolo. Great pictures and enjoyed reading. Voted up. This was a stunning trip to Pinzolo my friend, truly magnificent! You look quite the professional on your paragliding too!! LOL I love these small villages nestled into the Italian landscape and this area is without doubt one to bookmark for all travelling to this region or nearby Milan or Lake Garda. Congrats Bill on another great addition, your photos really do tell a story and your descriptions as always are engaging from start to finish. All the votes, shares and pinning to Italy board! Ciao!! 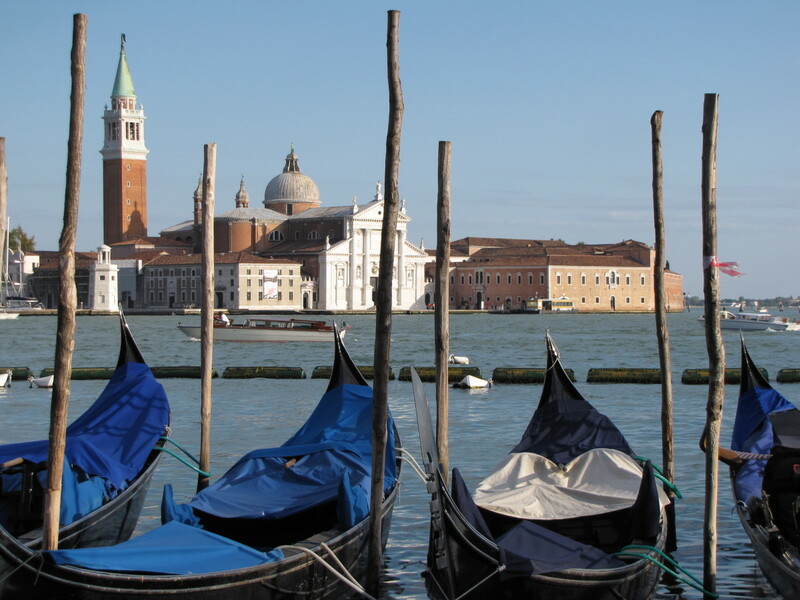 I have never been to Italy, but I really enjoy looking at photos of it, and hearing about it. Thanks for sharing this information. I saw paragliders at Cape Cod in Massachusetts in the Autumn. There were quite a few of them, and it was awesome to see them flying around! Stunning. Hi Joelle. Thanks for the visit and comments. This part of Italy is very different from what most people think of when traveling to Italy. You could just as easily be in Switzerland or Austria. It is stunningly beautiful however. Enjoy your weekend also. What a beautiful place! Great pictures to illustrate your article! I must say that it's almost difficult not to see something beautiful in Italy but you are right that most people will avoid go through the montain and choose to use a tunnel: either the Gotthard Road Tunnel or the Mont Blanc Tunnel. I think my husband and I used both at different times. And because there is so much traffic through those tunnels, they are building another one the Gotthard Base Tunnel that will be ready in a few years. So I suppose that people prefer to skip the beauty of the montain to head to their final destination. It's also sometimes a question of time you have for your holidays! It has been quite a long time since I went to Italy by road. That would be nice to return and enjoy the view!